This illustrated guide to North American wild medicinals has been a nature classic for over thirty years. In this new edition, David K. Foster revises Bradford Angier's invaluable handbook, updating the taxonomy and adding more than a dozen species, including the purple coneflower, popularly known as echinacea, as well as ephedra, jewelweed, goldenseal, and more. 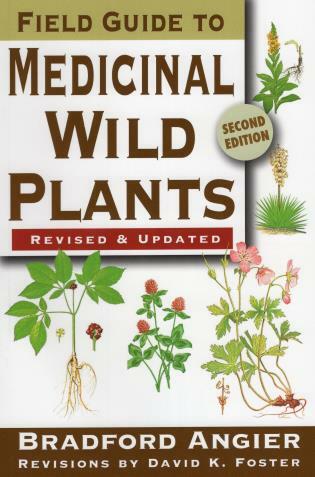 Scientific information for a general audience and full-color illustrations combine with intriguing accounts of the plants' uses, making this a practical guide for anyone interested in the medicinal uses of wild plants. Bradford Angier is the author of numerous best-selling books on nature and outdoor living, including Field Guide to Medicinal Wild Plants (978-0-8117-2076-2), Wilderness Shelters and How to Build Them (978-1-5857-4430-5), and Looking for Gold (978-0-8117-2034-2). David K. Foster is associate professor of biology and environmental science at Messiah College in Pennsylvania and a member of the Society of American Foresters.